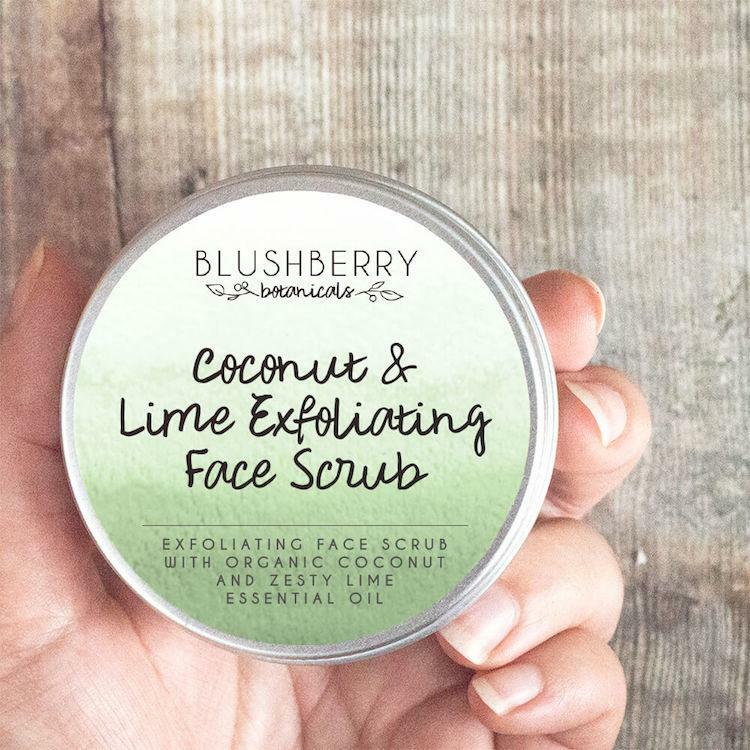 Natural Coconut & lime exfoliating face scrub which is suitable for all skin types except sensitive skin. 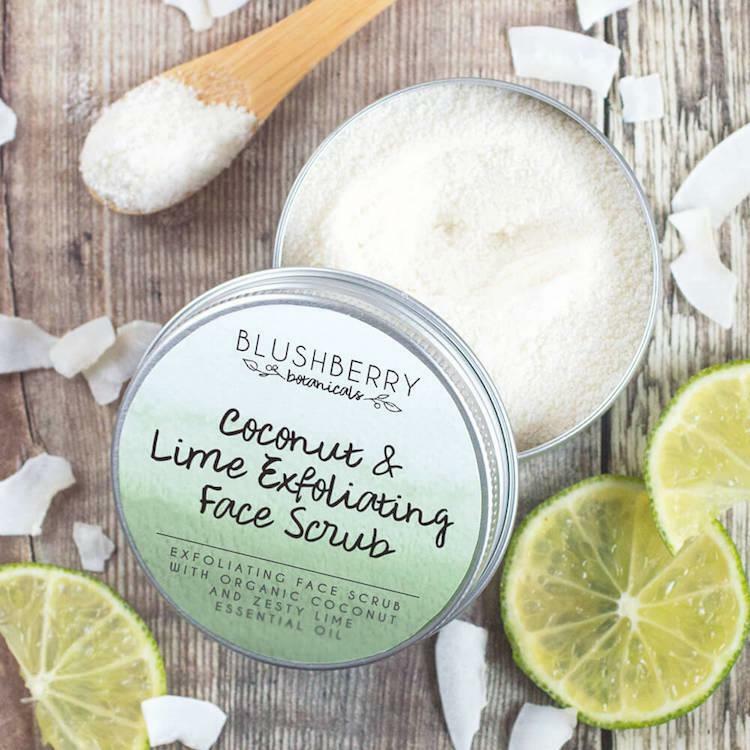 With 80% organic ingredients including pure essential oils, the active ingredients gently and thoroughly cleanse and exfoliates the face to reveal fresh soft smooth skin. 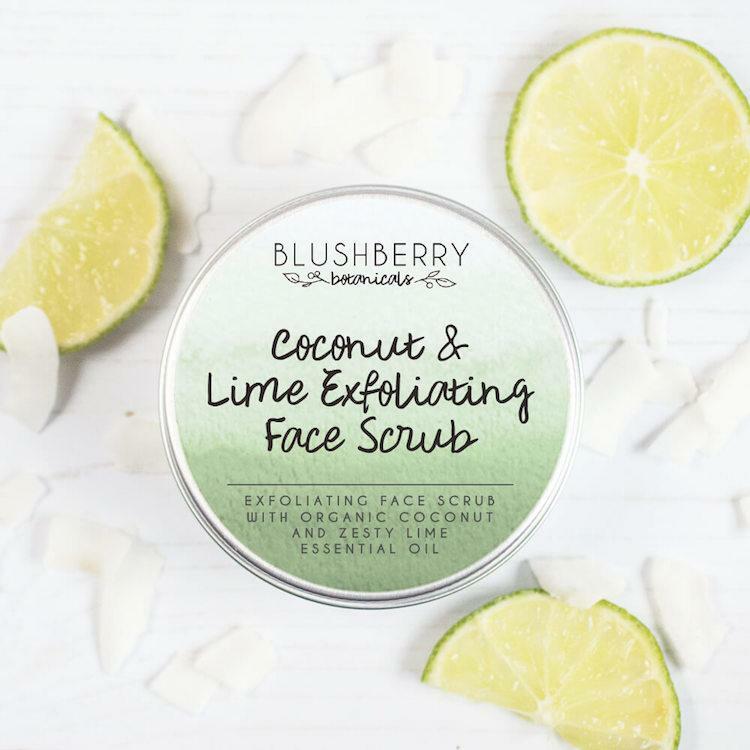 This exfoliating scrub comes as a dry powder - you just mix with a little with water to get a fresh scrub - you can customise this product - the more water you add the gentler the scrub. Refill option - For £9.50 with spoon or £9 without spoon you can get a refill aluminium sachet, helping to reduce packaging waste. Ingredients- Cocos Nucifera (coconut)*powder, Oryza Sativa (rice) flour*, Sucrose*, Sodium Bicarbonate, Citrus Aurantifolia (lime) essential oil* (essential oil contains Citral, geraniol, limonene, linalool). *Organic ingredients (80% organic and natural). Product packaging – Metal tin or aluminium sachet. 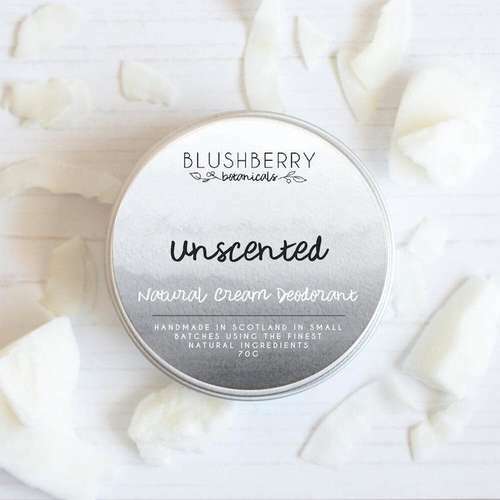 Blushberry Botanicals is a Scottish beauty brand launched by Lorraine Tait who wanted to create natural and vegan products using the finest ingredients available. Utilising her passion and knowledge for botany and organic ingredients, Lorraine has developed a wide range of products which truly care for the skin. 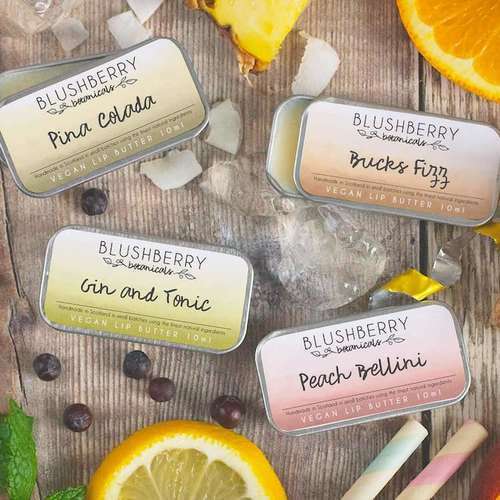 All of the Blushberry products are made in their workshop in the North East of Scotland and they also keep plastic to a minimum for their packaging, helping to make their products as low impact as possible. Delivery Packaging - Outside - Cardboard box or padded envelope (recycled paper filled) depending on size of order, paper tape, eco packaging peanuts (in boxes). Inside - Products wrapped in paper bag and/or recycled tissue paper for protection.